For Anahis Alvarado, whose battle with kidney failure has become more desperate as Venezuela sinks deeper into crisis, the prospect of bringing in emergency medical and food supplies can't come soon enough. She's watched five fellow patients in her dialysis group die over the past few years due to inadequate care. Only a quarter of the dialysis machines where she receives treatment at a government-run clinic in Caracas still work. And last week she had to spend almost a third of her family's monthly income buying basic supplies like surgical gloves and syringes that President Nicolas Maduro's bankrupt government is no longer able to provide. "We're losing time," the 32-year-old Alvorado said. She hopes relief will soon be on its way. Some 620 miles (1,000 kilometers) away, in the Colombian border city of Cucuta, opponents of Maduro are hastily putting together plans with U.S. officials to open a "humanitarian corridor" to deliver badly needed food and medicine. 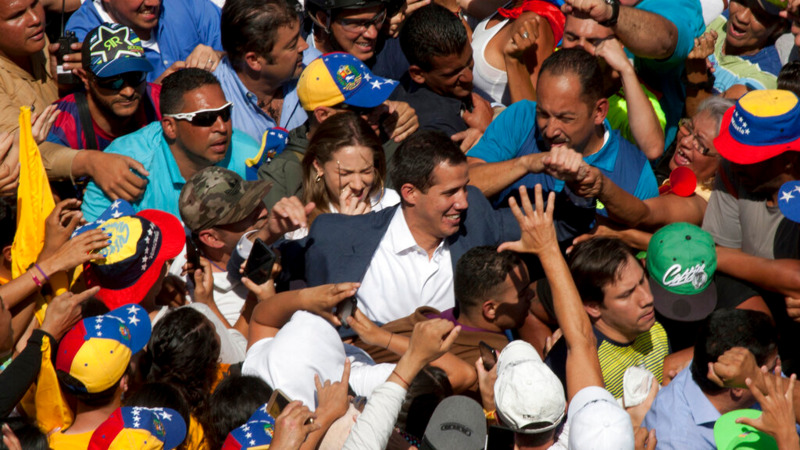 The aid convoy is seen as a key test for Juan Guaido after the opposition leader declared himself interim president in a high-risk challenge to Maduro's authority — a move that has the backing of almost 40 countries around the world. But getting the food into Venezuela is no easy task. 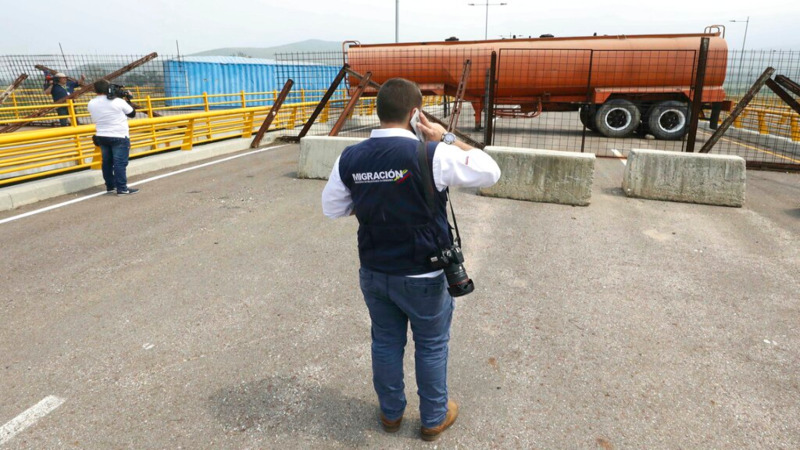 On Wednesday, a large tanker, mangled fencing and a shipping container were scattered across a bridge connecting the two countries, a makeshift barricade reflecting Maduro's longstanding rejection of outside assistance. "We aren't beggars," the embattled socialist said Monday in a speech to troops. The standoff has troubled international relief organisations, many who say the issue of humanitarian aid is being used as a political weapon by both sides. 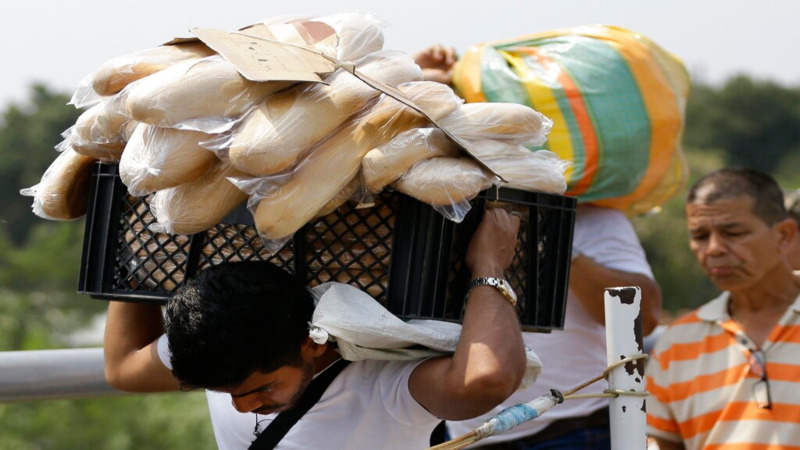 Maduro's government has steadfastly denied the existence of a humanitarian crisis that has forced some 3 million Venezuelans to flee in recent years, even while handing out heavily subsidised food staples to rally support among the poor, especially ahead of elections. Meanwhile, the opposition is vowing to proceed with its aid plan at all costs in an effort to break the military's strong support for Maduro. "You have a clear choice," Miguel Pizarro, a lawmaker coordinating the relief effort, said in pointed remarks Tuesday to members of the armed forces. "Either you are part of the problem, or you put yourself on the side of the people who are in need." The International Committee of the Red Cross is among groups that have warned about the fast-escalating rhetoric. On Tuesday, it repeated an offer to distribute humanitarian assistance but only if authorities agree to guarantee the aid safely reaches those in need and isn't politicized. "Right now, both sides are comparing muscles to see who is stronger," said Daniel Almeida, an advocacy adviser for the Switzerland-based humanitarian agency CARE. "But for the person who really needs the assistance, they don't care where it comes from." The Trump administration has pledged $20 million in humanitarian assistance to Guaido's government in addition to the more than $140 million it has already made available to South American countries absorbing the exodus of Venezuelan migrants. Canada has pledged another $53 million to Guaido. National Security Adviser John Bolton last week tweeted a picture of hundreds of boxes of ready-to-use meals for "malnourished children," each printed with an American flag, that he said were ready to be delivered. 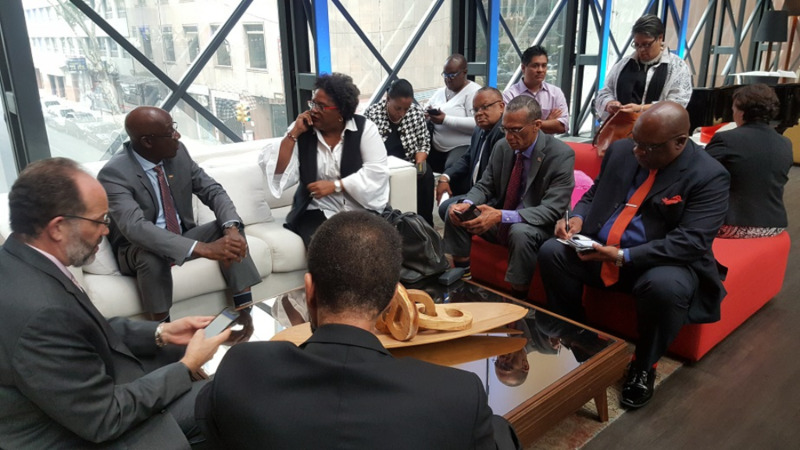 The show of bravado alarmed some international relief organizations, which worry the real intention is to lay bare Maduro's obstinacy and build the case for military intervention on humanitarian grounds — a worst-case scenario that would pile on even more hardships. Bolton said he was responding to a request from Guaido, who announced at a rally last weekend that he was setting up three collection points — in Cucuta, as well as others in Brazil and the Caribbean — to receive the aid. The 30 to 40 tons of aid includes baby formula and high-protein biscuits, according to a U.S. official who spoke on the condition of anonymity because he wasn't authorised to discuss the plans. Cucuta has become the top destination for Venezuelans who travel long distances to the city in a desperate search for food and medicine. Alvarado said if it wasn't for a friend who made the trek for her last week she wouldn't have the antibiotic she needs for an infection. She paid for the medicine with money from an aunt in Argentina because her once middle-class family struggles to survive on her mother's meager retirement pension of $8 a month. During dialysis sessions dangerously shortened by an hour to cope with the lack of machines and supplies, Alvarado keeps herself busy by writing poetry. Her latest poem, written the day Venezuelans poured into the street in support of Guaido, is an ode to a Venezuela she dreams of one day being replenished with "pharmacies full of medicine." "I want to get better so that I can begin to help others," she said. "All of us are victims and all of us need to work hard so Venezuela can resurge." In Cucuta, volunteers have been on standby for days to help with the aid's arrival but have been given no indication of how it will get into Venezuela. "It's creating huge expectations," said Francisco Valencia, a director of CODEVIDA, a coalition of Venezuelan health advocacy groups. "If the transition doesn't take place soon, we're not going to receive the real humanitarian aid we need." Caritas, a charity run by the Roman Catholic Church, estimates that child malnutrition more than doubled last year, while 48 percent of pregnant women in low-income neighborhoods are underfed. Among those waiting in limbo is Aminta Villamizar, a retired cleaning woman, who lost her right leg and two toes on her left leg because she can't find enough insulin to treat her diabetes. Lying in bed in her Caracas apartment building, she waits as her grandson, Antonio, measures her blood sugar levels. Although it's above normal, she resists the offer of a shot, preferring to safeguard her scarce supplies and instead pray to an icon of Dr. Jose Greogrio Hernandez, a 19th-century Venezuelan doctor who treated the poor and is revered throughout the country as a saint. "I was a person who worked my entire life, but this sickness destroyed me," she said.